For the past 6 years I've moved at least once a year. One summer I moved twice - not the smartest thing I've ever done - but it all worked out in the end. I've learned quite a bit through all of these transitions, so I thought I would share with y'all my top tips for making a move. Before you start packing anything, go through all your stuff and donate/sell/throw away anything you don't see yourself using in your new place. You never realize exactly how much you can accumulate in a year until you have to move. I am the absolute worst about getting rid of things - we'll go with the excuse that it runs in my family - but at the end of the day I know it's worth it. 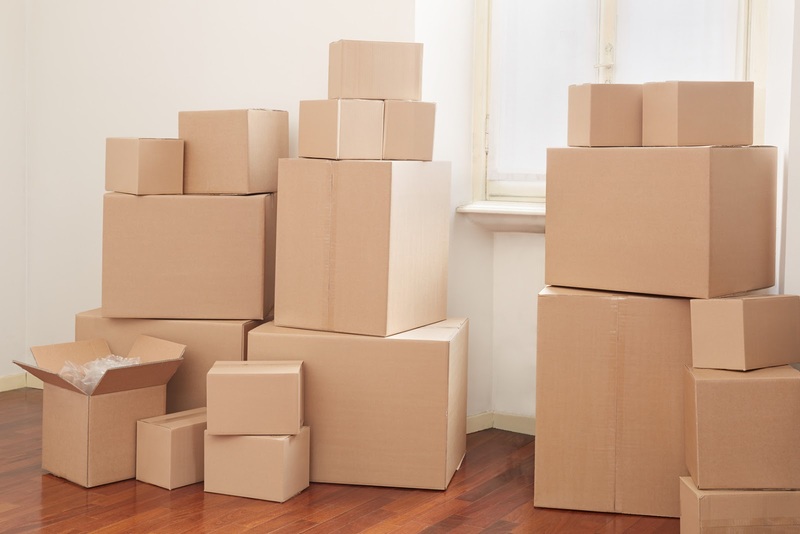 Pack a box with the things you'll need as soon as you're in your new place. My necessities box always includes hand soap, toilet paper, paper towel, dish soap, laundry detergent, a sponge, a shower curtain, coffee cups, a coffee maker & coffee (yes, coffee is a necessity!) This keeps you from needing to run to the store as soon as you get to the new place, because trust me, you'll be absolutely exhausted! No matter how tempting it is, don't buy anything for your new place until you're there. This past move I was determined to buy as much of the big stuff so the movers would take it instead of us. Hey, don't judge, we live on the third floor. But I've officially learned my lesson. It only takes buying something that's the wrong color/height/size and having to return it and start completely over to keep you from doing this. If there is any way that you can afford to hire movers, it will be worth every penny you spend. Even if you just hire them to move large or fragile items, it will take a bunch of stress off of you having to figure out a way to move them. If there's no way you can hire anyone, hire your friends and buy them a meal! You will get to spend time with friends and it'll make everything so much easier! And my biggest tip that will literally save your sanity .... don't wait until the last minute! You're already stressed enough, especially if you're moving to a whole new city, so make it a little easier on yourself and get everything done as early as possible. Kyle and I are currently still living in our "cardboard jungle", which will hopefully be gone in a few days. I haven't been able to do much because of all of the boxes, but I will definitely go into decorating overdrive as soon as they're gone! 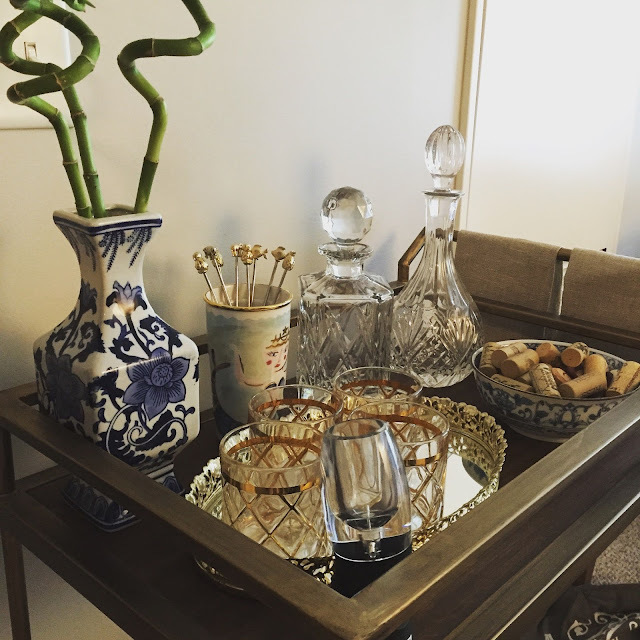 Until then, I'll share with y'all a picture of our bar cart that I posted on my instagram. Are you getting ready to make a move, or if you have, what are your tips for making a move?